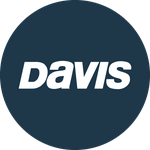 Davis Instruments Support, FAQs and Troubleshooting - How does the Queaz-Away work to minimize or eliminate travel sickness? All Categories ​>​ FAQ ​>​ Marine ​>​ How does the Queaz-Away work to minimize or eliminate travel sickness? The Queaz-Away Wristbands exert gentle pressure at points on each wrist to minimize or eliminate the miserable effects of travel. They are safe and easy to use. Simply slip on your wrists, position and enjoy your travel.